Darnell Baylor with Roberta’s House talks to Dr. Heidi Horsley about teens and grief. As a program manager, Baylor works with bereaved teens in Baltimore. It’s the only such center in Baltimore. “Changing the Game” is a way for kids to take control and do something healthier during their grief. They need support and consistency. They need a hug, a teacher, and that’s what they’re looking for as teens anyway. Grief and loss exacerbates the situation and can blow up their feelings. Anger is a common response to a loss. While many teens are angry, they’re also unsure of how to find support. Working through the anger via education and modeling, as well as art, is the goal of Roberta’s House. Educating teens on what they should and shouldn’t be doing is key. Many teens aren’t doing positive things they’re great at and need a nudge. Baylor caters to city residents, and he is getting ready to open up networks beyond the city. He’s happy to talk with anyone who needs recommendations or referrals to support networks. It can be challenging for teens to stay on track after a loss, and they don’t always ask their parents for help. Sometimes professional support such as Roberta’s House can make all the difference for a teen. For Baylor, it’s just as important that teens are reminded of what they shouldn’t be doing and help them to avoid temptation. This can include drug use, skipping school, a lack of respect, and not making the most of their skills. Teens only have a few years to capitalize on what can set them up for success in college. 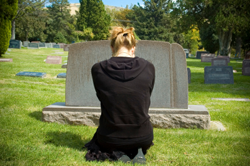 The loss of a loved one doesn’t have to destroy a teen’s path. My wife passed away last month. I m really in need of certain support group of similar people, who can share their experience to help each other. Please let me know if you know such groups.